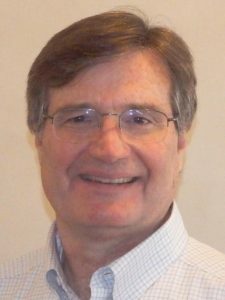 Dr. Glen Martin joined HRC in 2017, after working for 30 years as a therapist, supervisor, researcher and administrator at Counseling and Psychological Services at the University of North Carolina at Chapel Hill. Dr. Martin is a Licensed Psychologist. He received his Ph.D. in Counseling Psychology from Virginia Commonwealth University in 1982. He is past President of the North Carolina Psychological Association, past Co-Chair of the American Psychological Association’s Advisory Committee on Colleague Assistance, Co-Chair of the North Carolina Psychological Association’s Colleague Assistance Committee, and member of NCPA’s Professional Affairs and Ethics committee. Under Dr. Martin’s leadership, CAPS was awarded a Garrett Lee Smith Campus Suicide Prevention grant by the Substance Abuse and Mental Health Services Administration. Dr. Martin continues to provide training in suicide assessment and risk management to national and local audiences. I use a cognitive-behavioral approach to understand my clients’ emotions, thoughts and behaviors, and to achieve the goals that we collaboratively set for therapy. I work hard to understand my clients’ emotions—how they experience them, what causes them, and what we can do together to alleviate distress. Sometimes that involves making major life changes, and other times it may involve learning how to cope with stress or depression in new ways. I have particular expertise in working with clients whose academic or work performance is impaired by anxiety, depression or some other psychiatric disorder. Appointments: Appointments are available Monday through Friday.